Are you someone who is constantly on the go? With my husband’s work we are always going somewhere – driving to New Jersey, or bringing some of our pets to have a mini vacation with grandma. While long car rides might not be a big deal, it is important that you stay as hands free as possible to abide by the laws of states you drive though, as well as have a way to charge multiple phones and Bluetooth devices. 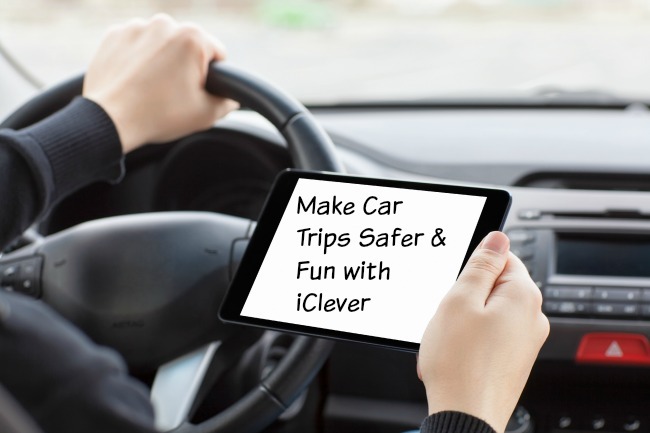 Luckily, we recently found the perfect solution to keeping our drive safer while charging our preferred devices – iClever! Looking for a way to listen to MP3s in your car without having to mess with odd wires or car adapters? Make listening to music in your car even easier with the iClever Bluetooth FM Transmitter. 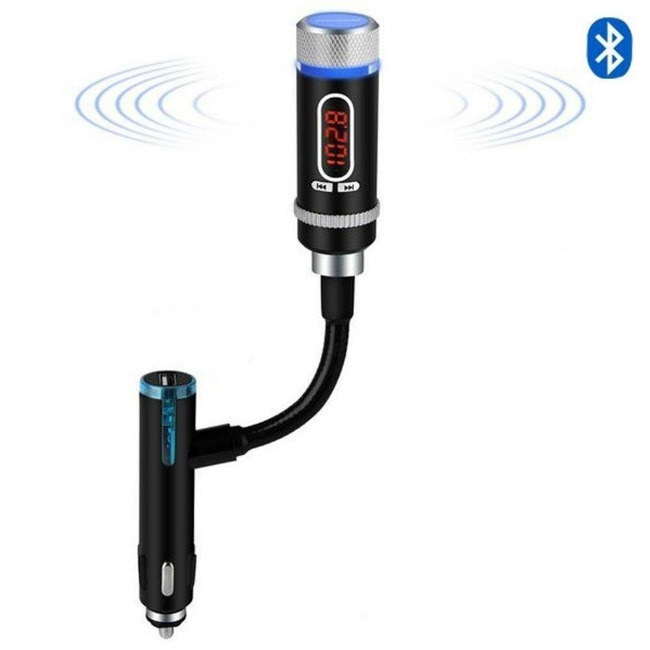 This high quality FM stereo transmitter allows you to enjoy your music in the best quality possible while being able to control music effortlessly with the goose pipe design, and easy to access buttons. With this user friendly transmitter, anyone can enjoy listening to music in any car, making driving not only less stressful, but safer too! We personally love the design of this transmitter and the fact that it can easily move from car to car so that we can listen to MP3s on our iPhone anytime, anywhere. With its easy to use design and quality, we are happy to give the iClever Bluetooth FM Transmitter an A+ rating! Looking for a way to charge multiple devices in your car? 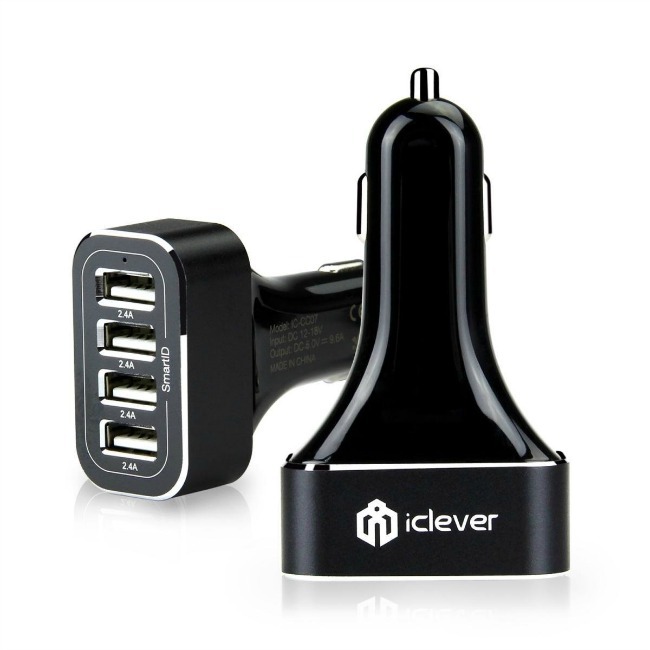 If so, think you will love the love the iClever 4 Port Car Charger. This 48 watt output charger has four USB ports for charging phones, tablets, and other USB compatible devices. As well, this charger uses SmartID technology, which identifies your device and charges it quickly without supplying too much current, or overcharging, protecting your device in the long run. With this durable charger, keeping your devices charged on a trip has never been easier! Personally, we are very happy with the iClever 4 Port Car Charger and are excited to finally have a way to not only charge multiple phones in the car, but our headsets and tablets at the same time. Best of all, it is less expensive than most of the competition, allowing you to charge devices in your car without spending a small fortune! So far, we are delighted to give the iClever 4 Port Car Charger an A rating! 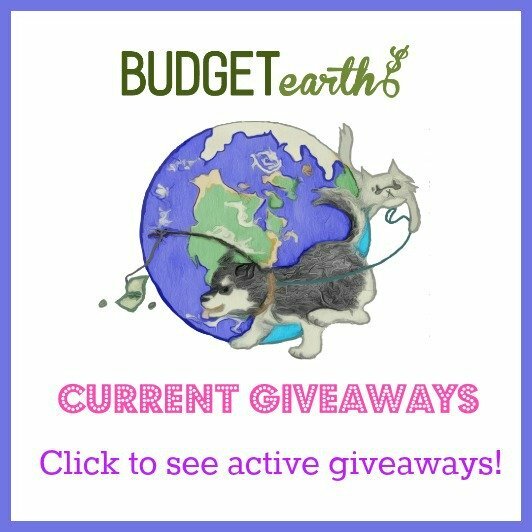 Want to purchase these awesome devices for your own car? You can buy the iClever Bluetooth FM Transmitter on Amazon.com for only $34.99 and the iClever 4 Port Car Charger for $16.99. Once you have tried these great products you will see why people love iClever! Want to learn more? Check out iClever on Social Media! This is really awesome and just what I need! This looks like a great product I need. I drive an hour to work one way every day so I go through a lot of audio books. I’ve never heard of iclever before….love learning about new brands/products! I’ve got to get this for so many friends and family members! It seems these days no one wants to let go of their devices, even in the car This would be a great way to keep everyone charged, and happy! These iClever devices sound great. I think both the iClever Bluetooth FM Transmitter and the iClever 4 Port Car Charger are a must for people who travel a lot by car. Thank you for sharing this review. What a great product and device! I never heard or seen this before. This would keep the kids busy with their devices the whole time. What a great review and explained so well.